Inter Milan may have lost their special coach this off season, but they will not risk losing their key forward and shutdown defender. Both Argentine Inter Milan sensations Javier Zanetti and Diego Milito extended their current contracts by a year and now Zanetti’s will run out in 2013 and Milito’s is due to end in 2014. At 36 years of age the club has given Zanetti the opportunity to finish his career with the Italian giants. And considering the fact he has been with Inter Milan since 1995 and has over 500 appearances for the squad it is truly fitting that the Argentine defender will play with the club until he is 39 years old. I am happy and proud. 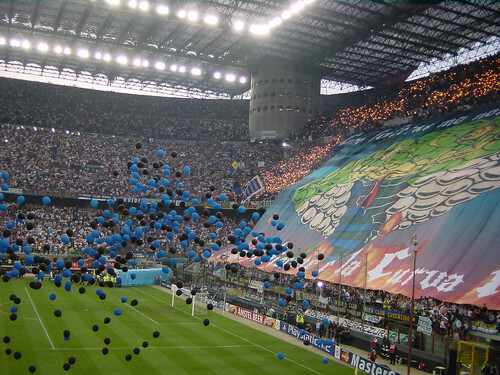 I and my family thank the Moratti family, all of Inter and our fans who have always supported me and always will. As for Milito his time with the treble winners is much more brief then Zanetti’s being a single season, but what an immediate impact the 30 year old made for the Champions League winners. Milito is one of those premier finishers in the game and besides Wesley Sneijder is the team’s key offensive component. I will always be grateful to a great club like Inter for choosing me, and to president Moratti for his faith in me. And former Liverpool man Rafa Benitez is the team’s new boss and titles are expected to be won this year despite the loss of the Special One.